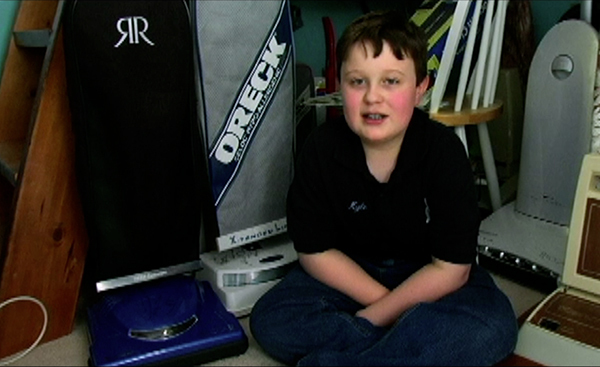 Few things are as unexpected as a 12-year-old boy who collects, dreams about, and can’t wait to use … vacuum cleaners. Kyle Krichbaum’s family was sure he would outgrow the obsession that started when he was a toddler, but he hasn’t. In this charming documentary, Kyle talks about his passion, demonstrates a few models from his collection of over 160 vacuum cleaners, and shares some clips from the TV shows he’s been on including The Tonight Show.